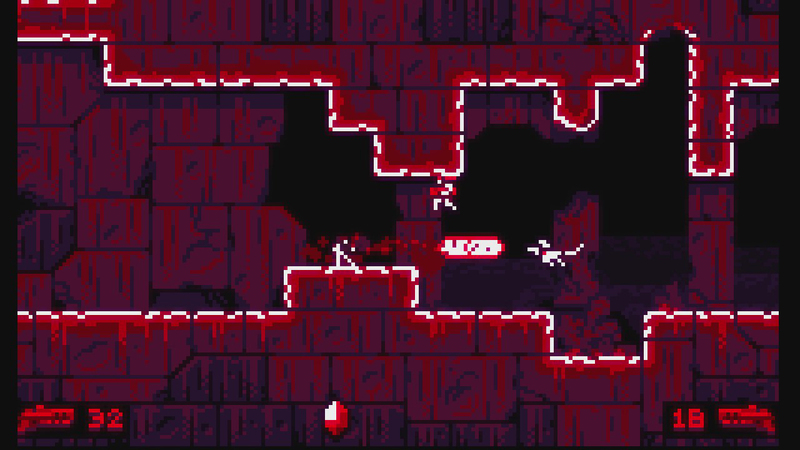 Hello gentle readers, and welcome to the SwitchArcade Round-Up for April 16th, 2019. I’ve got two very crunchy reviews for you to chew on today, along with summaries of today’s new releases, some news nuggets, and even the latest sales information. There’s so much to talk about, and so little attention span remaining! Let’s go straight for the gold, friends! It’s system update time again, and this time it’s more exciting than stability updates. Only a little, mind you, but we’ll take what we can get. The big new feature here is the ability to sort your “All Games" screen by a few new parameters. The original option, which is to list games in the order of how recently you played them, remains available. In addition, you can sort by how long you’ve played each game, by alphabetical order, or by publisher. It’s not quite the folder option I’m hoping for, but it’s something. There are also some new avatar icons, a new option to view all unread news stories, and parental controls for the VR Kit. Not bad! Don’t forget to update your JoyCons while you’re at it. Unties and Neetpia’s action/tower defense hybrid game Gensokyo Defenders is launching on PC next week, but Switch players needn’t feel lonely. The game will be receiving free DLC on April 25th, and it’s all about threes. Three new playable characters, three new stages, and three new traps are all on the menu. Well, not literally on the menu. It’s… it’s a food metaphor. At any rate, if you enjoyed playing Gensokyo Defenders, there’s going to be more of it soon. And if you didn’t? Well, maybe this stuff will change your mind? Probably not, but hope springs eternal! People often associate flying with freedom, and it’s easy to see why. We’re bound by so many things in life. Work. Taking care of our friends and loved ones. Keeping promises. Our own mortality. And of course, gravity. To see a bird take wing and soar into the air, seemingly spitting in the face of the rules, can’t help but conjure up feelings of being free from our other pressures and stresses. We dream of flying not necessarily because we want to retrieve kites from very tall trees, but because to fly is to get away from everything. It’s certainly an appealing idea at times of duress. Feather aims to deliver that release, and little more than that. There are no pilot’s licenses required here. You don’t have to worry about a mechanical problem leading to your demise at the hands of the jailer you’re attempting to break away from. No to-do lists. No threats. No goal. Just be a bird and fly around. Your gamer’s brain tells you there must be some kind of secret here. You may spend the first several minutes hunting for one. You’re not going to find one, at least not in any traditional sense. 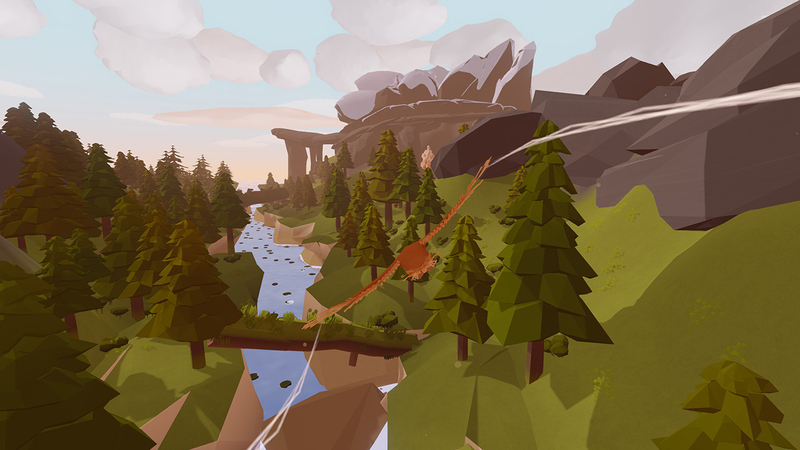 The only secrets you’ll find in Feather are nice views and cool spots to fly around. When and how does it end? Well, it doesn’t. Fly around until you’re tired of it. Then stop, I guess. Go back to your chair and refresh your browser tab. To be frank, Feather isn’t much fun. It’s actually pretty boring. I hate typing that, because I think it has as much to do with my sense of wonder being ground down over the years as it does with anything this game is doing, but it’s true. You’re meant to cruise around and take in the lovely vistas, and they are certainly lovely but they are also clearly video game sets. And I’ve seen a lot of video game sets in my life, including quite a few that are prettier than these. The flying controls are really easy to use, and I totally understand why, but I don’t feel like it’s really capturing the essence of flying. I mean, it’s not trying to. But I don’t feel so much like a bird as I do a video game object. It’s… fine, I suppose, and the relaxing music certainly helps set the mood, but Feather isn’t tactile enough nor pretty enough to get across what I think it might be aiming for. 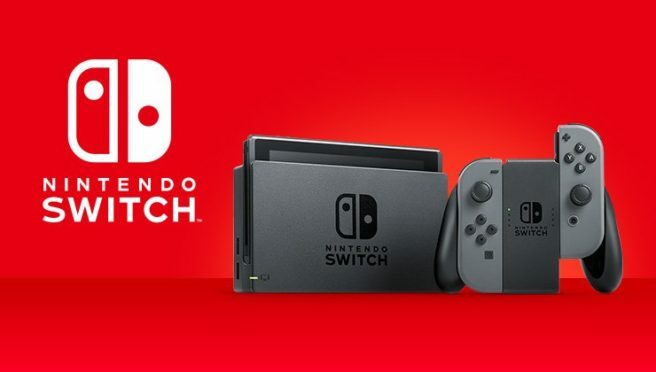 It certainly doesn’t help that the game has some performance problems on the Switch. It’s hard to maintain a sense of immersion when the framerate starts to dive, and that’s something that happens way more than it ought to here. It’s not dreadful, but it’s certainly noticeable. 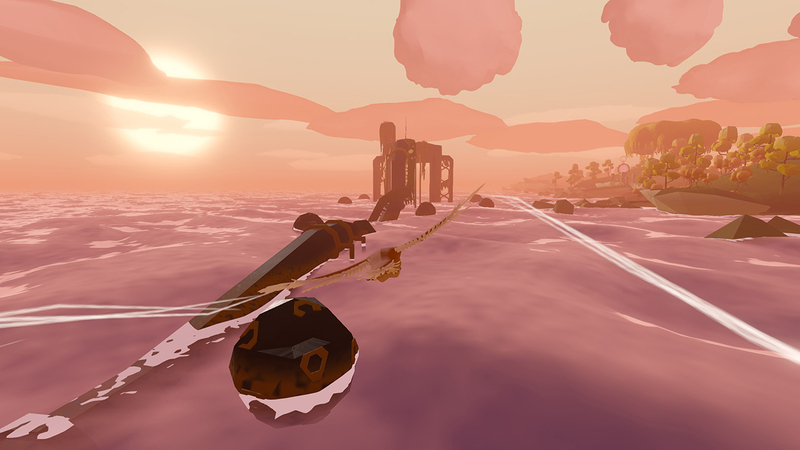 Besides flying around on your own, there’s also a weirdly mellow multiplayer thing happening in the game where you can run into other players’ birds and fly around with them if you like. You can only communicating by chirping, which isn’t useful for much more than calling attention to yourself. While it’s neat that the other birds you see are often other humans, it’s not like you can go on any adventures with them or anything. It’s just kind of there. Do with it what you will. And that’s basically what Feather is on the whole. Do with it what you will. Fly around, do some diving, check out all of the nooks and crannies of the island, listen to the music as the sun sets over the mountains. We often call games sandboxes but most games of that sort are sandboxes full of toys and buckets and such. Feather is a more proper analog to a sandbox, which is to say it is a box containing only sand. How long can you amuse yourself with such a thing? No buckets to shape with. No shovels to dig with. No sticks to draw with. Just you and the sand. Smooth it out. Scoop it up with your hands. Let it fall through. How many hours can you spend doing that before your mind starts to wander? How many minutes, even? I actually respect the hell out of Feather, because I’m sure the developers had a million people telling them what the game “had to" have, and it just has none of that. It’s extremely confident. What it apparently attempts to do, it does without any doubt or concession whatsoever. I firmly believe that it’s absolutely to its detriment as an entertainment product, but what does a bird care about things like products? If you think about it, the progression of many video games is really weird. You start off the game in the weakest possible state both in terms of your skills and your characters’ resources. As you play the game, both of those categories improve, and unless the designer plans things very carefully, there’s a real chance that the back end of the game is easier than the front end. If we’re building our own skills while playing the game, does Mega Man really need to get stronger? Shouldn’t it be the enemies that beef up? Producers looking at statistics on how many people actually finish games say “no! ", but Overwhelm shouts “yes!" as it stabs you in the eye for looking at it funny. I don’t want to oversell the game’s difficulty, actually. There are plenty of options here to make the game a much friendlier experience, and I daresay most players of any skill level will be able to get through the game given enough time and patience. The default options are certainly harsh though, with three one-hit-death lives and limited ammo. 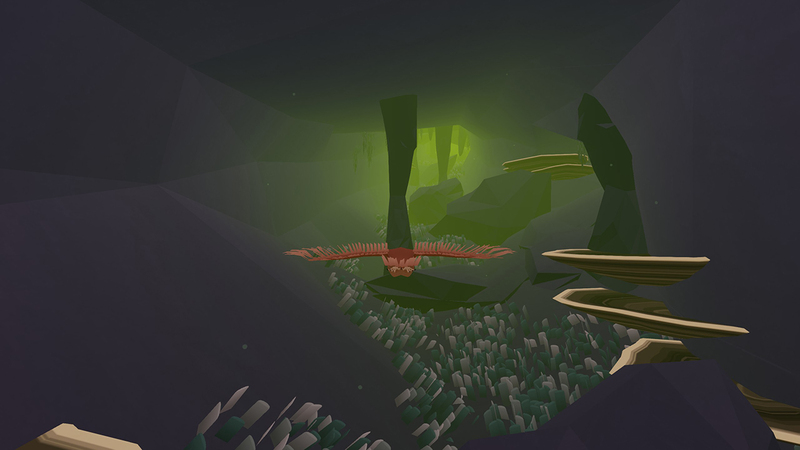 With these meager resources you need to descend into a chokingly claustrophobic hive, take out five bosses, and claim their crystals. As your lives wind down, the visuals and audio get more oppressive, increasing the pressure. Oh, and should you take down a boss, your “reward" is that some of the boss’s abilities are given to other enemies in the hive. Yeah. Imagine beating Metal Man in Mega Man 2 and instead of Mega Man getting the Metal Blade, a bunch of the peons in the game get them. Thankfully, your tiny hero is quite agile and capable. 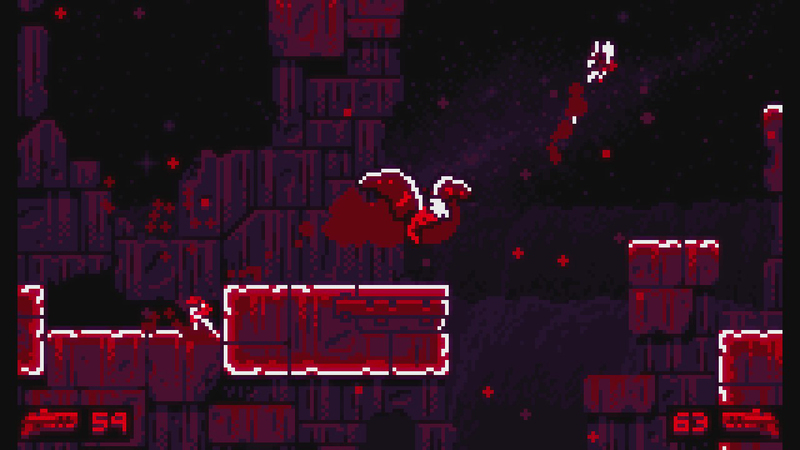 You can move and aim independently using the sticks, shoot your gun, jump, and perform a dashing punch that can take out weaker enemies and give you a little extra reach. 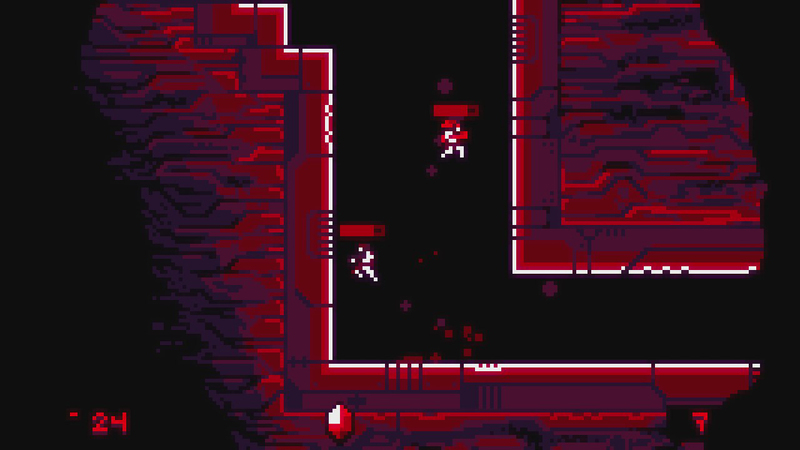 Your limited ammo will only refill before each boss room and at the central hub, so learning to sock any enemies that you can deliver knuckle sandwiches to rather than waste bullets on is a smart idea. Enemies will often drop into your view so unexpectedly that you may not have time to aim anyway. Your viewing area is often obscured by the darkness, and it gets worse the deeper you go. And then there are other ways the game messes with you. I won’t spoil them, but Overwhelm really believes in its title in virtually every sense. The boss battles are the centerpieces here, and they are all impressive and distinct. These aren’t brief affairs, either. You’ll be in battle with these beasties for quite a long time, and it only takes one mess-up to send you back to the start of the fight. And depending on the order you tackle them in, you’ll be dealing with some very different capabilities and patterns in the hive. This gives the game a bit of replay value, which is crucial because once you get to the point where you can clear the game, it’s really only an hour or two long. But unless you’re using the assist features, that’s a very tough climb indeed. Absolutely worth going for, however, as the game only gets more impressive as it goes. So, about those options. 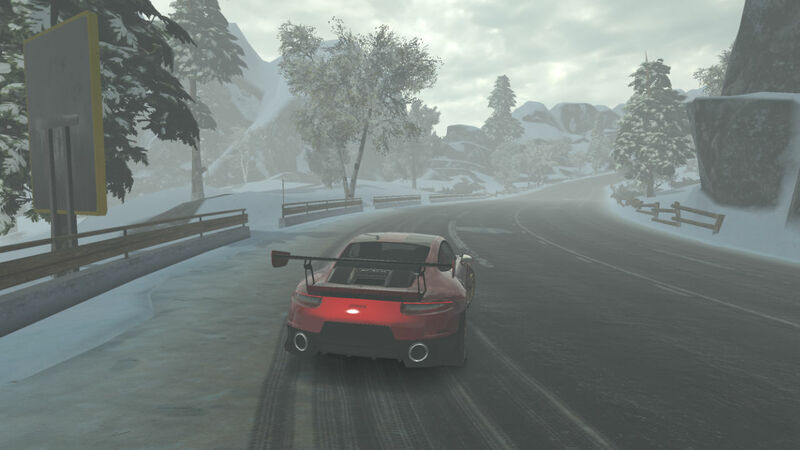 You can adjust the game’s speed to fit your preference, for starters. There are options for unlimited lives and unlimited ammo, and one that lets you look at your map and pause the game at the same time. There are also lots of audio and visual options, including four different color schemes. 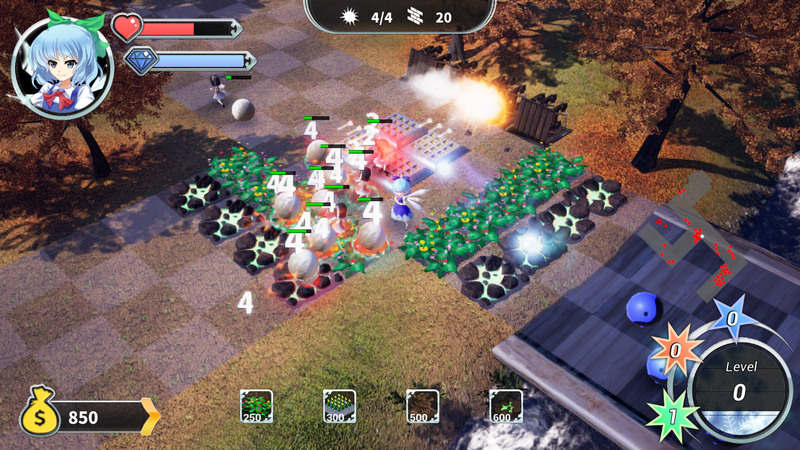 Controls can be remapped as you like, and the game also offers up a co-op mode that is either easier or harder depending on the skills of the person you’re playing with. As mentioned, without these options, you’re dealing with limited lives, limited ammo, and only a resume save if you need to stop playing. It’s not going to be enough. Not for a good long while. Now, I think even with all of the very welcome assist features, Overwhelm isn’t going to be for everyone. It’s a meat-grinder no matter how many lives you have. It’s an incredibly punishing game and you’re not going to get any real rewards until you’ve more or less finished it. It’s ninety-nine sticks and one giant carrot. If that sounds like it’s going to be too much for you, it probably is. If that makes you excited, then you’ll probably like this game. I mean, even if you’re a bit over-confident, the game has options for you to fall back on. And once you’ve got it all figured out and are taking down things that used to seem impossible, the truly overwhelming thing is the feeling of triumph. 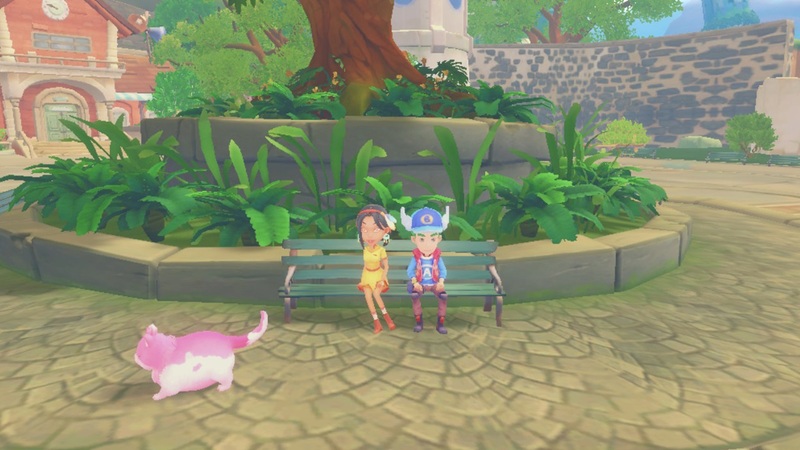 Another of those slow-life games similar to Harvest Moon or Stardew Valley, My Time in Portia makes its way to Switch after a fairly successful launch on PC last year. The loading times are a bit scary in this version, but the developers have said they’re going to be addressing that in a patch, so let’s hope for the best. As for the game itself, it’s quite slow-paced even by the usual standards of this sort of affair. The characters are also a little on the bland side. But if you really like getting into the nitty-gritty details of building things and living in a laid-back town, you might like this well enough. I don’t, so I don’t. These are both pretty great RPGs in their own ways, and the story is certainly an interesting one-two punch that, um, doesn’t exactly play it safe. In Final Fantasy X, you’ll join Tidus as he steps into a world different from the one he knows. He joins up with a group that are on an important pilgrimage, and awkward laughing happens at some point. The battle system is quite strategic and unlike any Final Fantasy before or since. 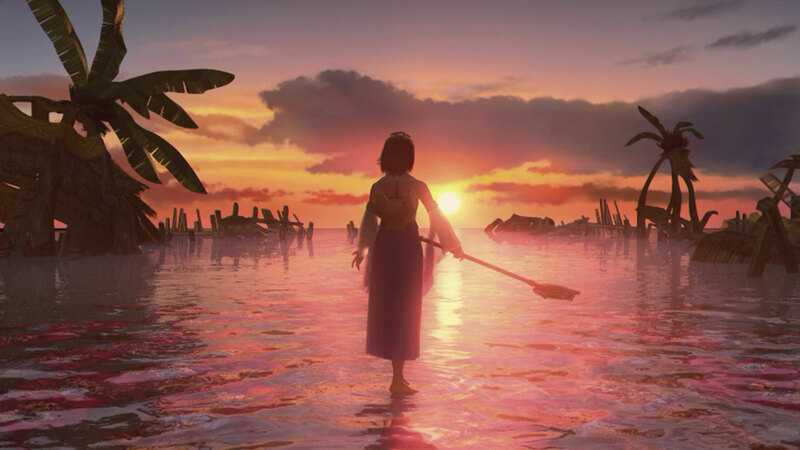 In Final Fantasy X-2, we see what happens to a world after its been saved, and it’s… well, in between this game’s extremely frequent flirtations with camp, there’s some intriguing commentary on grief and the commoditization of trauma. It’s an odd game, but the integration of the job system into more fast-paced battles make it really fun to play. A nice package, and one that runs very nicely on Switch. Bah. Sometimes you see a game that, if you saw it in an arcade, you might toss a coin into and have a couple of minutes of fun before moving along, and yet have zero desire to own it. And that’s more or less where Tanks Meet Zombies is at. 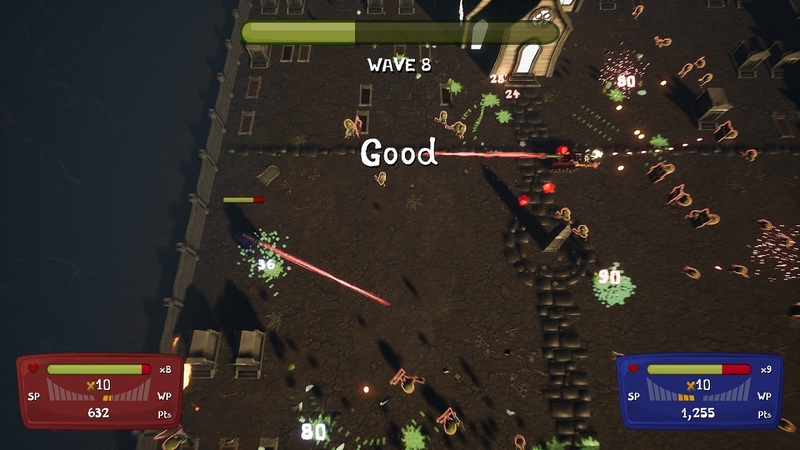 It’s a pretty simple and straightforward arcade action game for up to four players where you control tanks and blast away various sorts of undead. In short bursts, with the right company, this is pretty fun. But spend too much time with it and it quickly becomes as boring as the concept of using zombies in a video game. I can’t see this being of much interest to anyone, but I suppose there are worse things you could buy. I’m not sure if the economy of this game has changed since its mobile and Steam releases, but if it hasn’t, this game is a real money-sink. 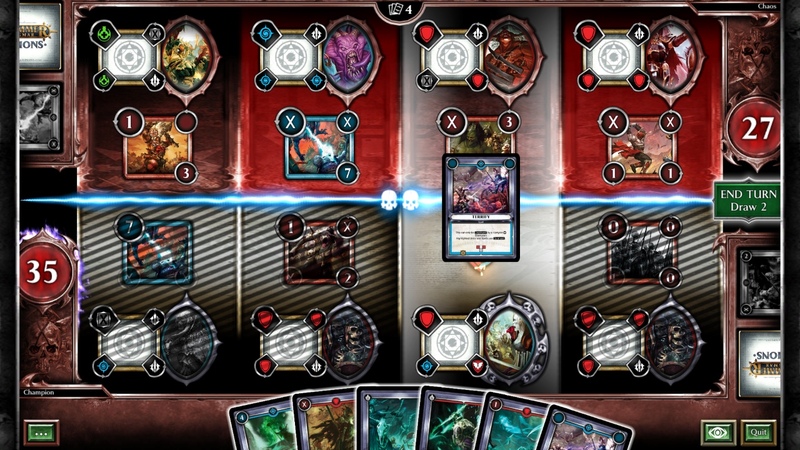 Unlike a lot of other free-to-play card games, you’re not going to get anywhere in this without opening your wallet often. Assuming that isn’t an issue for you, it’s not really all that great of a game even beyond that conversation. It’s not that it makes any serious missteps, but it’s about as plain as can be. Were I to splash out money on something like this, it wouldn’t be on Warhammer Age of Sigmar. 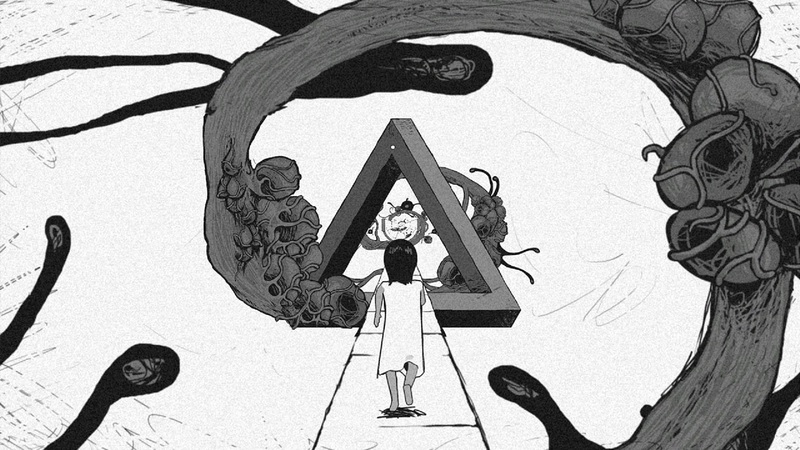 Well, if nothing else, Path to Mnemosyne looks cool and unusual. That and a couple bucks might get you a cup of cheap coffee these days. In a way, its interesting style sets expectations for the game at a level that the experience just can’t reach. Basically, you have to try to recover your lost memories by solving puzzles that you’ll come across as you walk along a path that stretches seemingly infinitely into the horizon. Don’t get your hopes up too high for the story; it never really goes anywhere. The puzzles are adequate but if you’re an experienced adventure game fan you’ll also find them a little too familiar on the whole. I suppose if you’re in the market for an okay adventure game, this is certainly that. Some interesting stuff in the inbox today, including several games that seldom go on sale. 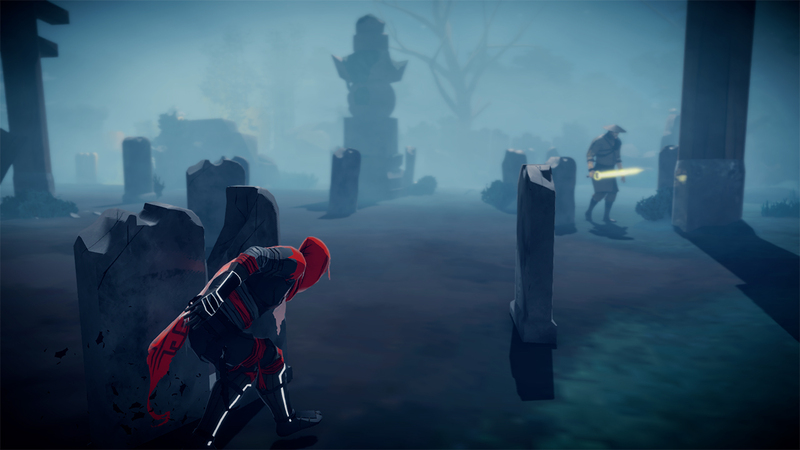 Stealth fans might enjoy Aragami. Those seeking yet another exploratory platformer may want to check out Feudal Alloy. And if RPGs are your jam, you very well might enjoy Cattails. Meanwhile in the outbox, we’ve got introductory discounts ending on Hob, Vaporum, and The Mystery of Woolley Mountain. Strikey Sisters is also finishing up its latest sale, and it’s certainly worth grabbing if you enjoy Break Out-style games. That’s all we’ve got time for today, friends. There’s only one new release on the schedule for tomorrow, but the rest of the week is going to be terrifying for your wallet and spectacular for your senses. Be sure to check back in for the latest news, sales information, and whatever other goodies I can stuff in. As always, thanks for reading!